Interpreting and implementing the technology roadmap for a global leader in self-publishing! 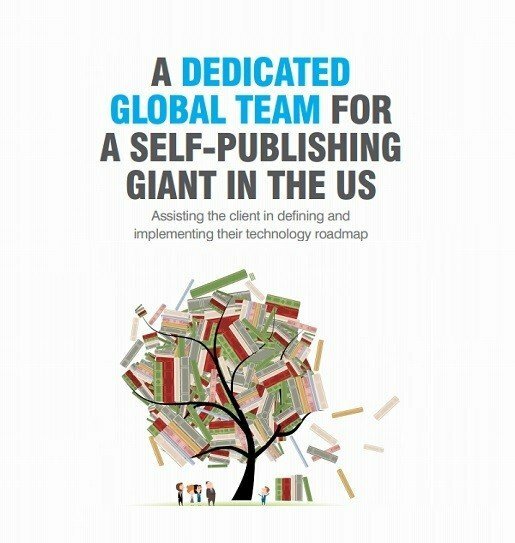 A self-publishing giant in the US was looking for a trustworthy and capable offshore IT partner that offered holistic and strategic solutions to drive their business. The publishing house handholds authors through the journey of developing ideas into books, making publishing an easy and affordable process, and more importantly, available for all aspiring writers. The client faced several issues that prevented them from exploiting the full range of their business potential. For them, Suyati propounded the Dedicated Global Team (DGT) engagement model that put together dedicated resources, transparent costing, great infrastructure and a 100% guarantee of intellectual property ownership. Besides this, our expertise in a wide range of technologies including Asp.Net, WCF, Biztalk, Commerce Server, Salesforce, and Ektron also made us a reliable partner to the client. Check out how Suyati’s Dedicated Global Team model, security compliance procedures, talent acquisition processes to hire the best talents in offshore and other factors influenced the client to choose us.